Subscribe Now Don't miss anything we post. Join our email list today! Pregnant? 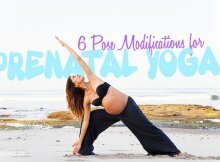 You need this prenatal yoga sequence. Pregnant? Try these prenatal yoga poses. Do these yoga poses for amazing legs! Get bikini-ready with these yoga poses! Copyright © 2019 Insider Yoga Website.